Advanced Smile Institute dentistry in Port St Lucie, Florida and dentist Dr. Robert Lens focuses on the latest in dental treatment. We offer a wide spectrum of general dentistry using the best techniques a dentist can offer. The technology available today can restore and improve your smile in ways not possible in the past. Improving your smile is not only part of every cosmetic makeover, it also improves your quality of life. Port St Lucie dentist Dr. Robert Lens can help. Whether you need to remove a cavity, get dental implants, or need to schedule an appointment for teeth cleaning, Dr. Robert Lens and his team at Advanced Smile Institute offer family dentistry services to Port St Lucie, Fort Pierce, Palm City and beyond to children, teenagers, adults, and seniors. Here at Advanced Smile Institute, we strive to learn and evaluate new dental techniques as they emerge, in order to determine the best solution for our patients. Education is a lifelong experience and is part of our philosophy. If you are searching for a new Port St Lucie dentist, consider what you learn in a free consultation with Advanced Smile Institute before making any decisions. From your smile to your wallet, choosing the right dentist in Port St Lucie for your regular dental needs is essential enough, not to mention the piece of mind in having a local, reliable Port St Lucie dentist to turn to in the case of a dental emergency. It's good to know that the team at Advanced Smile Institute has extensive experience in a wide range of quality dental services including general dentistry, family dentistry, dental implants, cosmetic dentistry, dentures, periodontal disease treatment, crowns, veneers, fillings for cavities, regular cleanings, teeth whitening, dental emergency services, and more. Port St Lucie dentist Dr Robert Lens has been in dental practice for over 24 years and is a member of the American Dental Implant Association. Dr. Robert Lens currently continues his education to learn new procedures and techniques in areas such as advanced endodontics procedures (root canals, etc), periodontal procedures (including surgery, gum disease, gingivitis, etc. 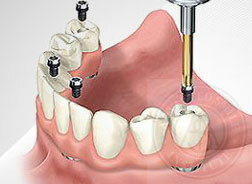 ), cosmetic procedures, and dental implants (including the surgical portion). 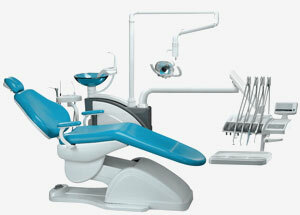 Dr. Robert Lens also installed and currently maintains most of the technology at Advanced Smile Institute. The experienced team at Advanced Smile Institute and Port St Lucie dentist Dr Robert Lens offer family dentistry to patients of all ages in the Treasure Coast, South Florida, and beyond. We offer quality services and materials, up-front costs on dental implants, affordable dentures, discounts to our dental patients without insurance, and much more. Schedule an appointment with us now to start dental treatment for you or your family. Our dental office is located in St Lucie West of Port St Lucie FL, conveniently near the St Lucie West exit of I-95. At the Advanced Smile Institute, we offer a broad range of dental health promoting services to enhance your smile, and to restore comfort and function to your mouth. Located in St. Lucie West of Port St. Lucie, Florida, Advanced Smile Institute provides general dental services for the Treasure Coast from PSL and Fort Pierce to Jensen Beach and Palm City, FL. Cosmetic dentistry is a newer concept that builds on general dentistry. Improving the way you look is great, but not if it doesn't last. All the physical aspects, such as the fit and the function, are fundamental. Here, at Advanced Smile Institute, we hold a practical view to cosmetic dentistry; Maximum aesthetics without compromising the core dental principles. A denture is a device that is supported or partially supported by the gums, that is used to replace some teeth (a partial denture) or replace all of your teeth (a full or complete denture). 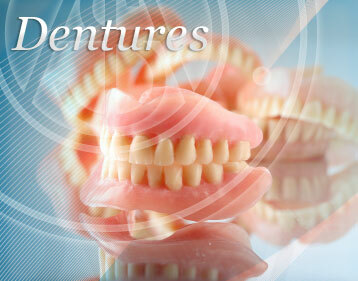 Dentures are removable and mostly made of acrylic resin; although metals and porcelain may also be used. They must be removed and cleaned after every meal and worn only during waking hours. You must leave a message, otherwise it won't inform Dr. Lens. Thank you. Let us answer your questions or schedule an appointment with Port St Lucie dentist Dr Robert Lens now.